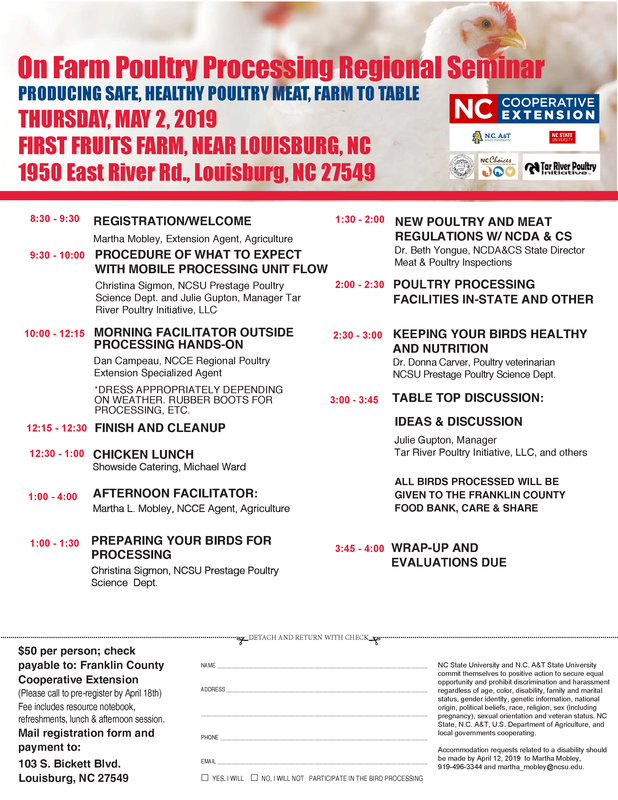 Backyard small flock poultry producers are invited to attend a day-long seminar on Thursday, May 2, 2019, along with outdoor hands-on chicken processing workshop in the afternoon, at First Fruits Farm, near Louisburg from 8 a.m.–4 p.m. There is a $50 fee to participate, payable by cash or check to N.C. Cooperative Extension of Franklin County. To register please contact the N.C. Cooperative Extension, Franklin County Center at 919-496-3344. Registration and the $50 fee is due by April 18. 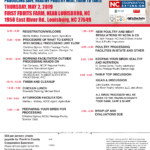 For more information, contact Martha Mobley, martha_mobley@ncsu.edu or 919-496-3344.